On this day, December 2, 1942, 75 years ago, Chicago Pile-1 produced the world’s first artificial self-sustained nuclear chain reaction. CP-1 (see picture below) was built of uranium, graphite, and wood. Control rods, which were intended to prevent a runaway reaction, were fabricated of cadmium. 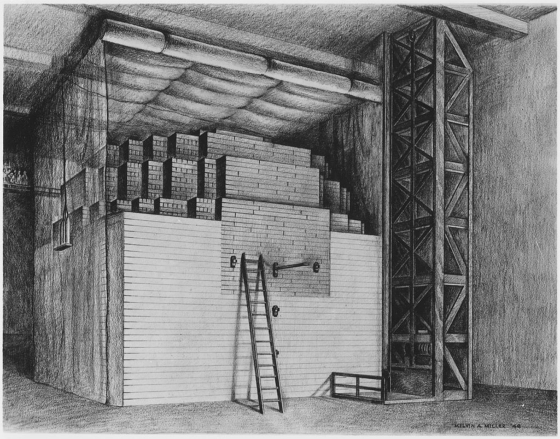 The pile was developed under the direction of physicist Enrico Fermi and was an early part of the Manhattan Project, the secret government program to develop the atomic bomb. CP-1 was built under the West Stands of Stagg Field on the University of Chicago campus. By the time I entered the university, CP-1 was long gone. 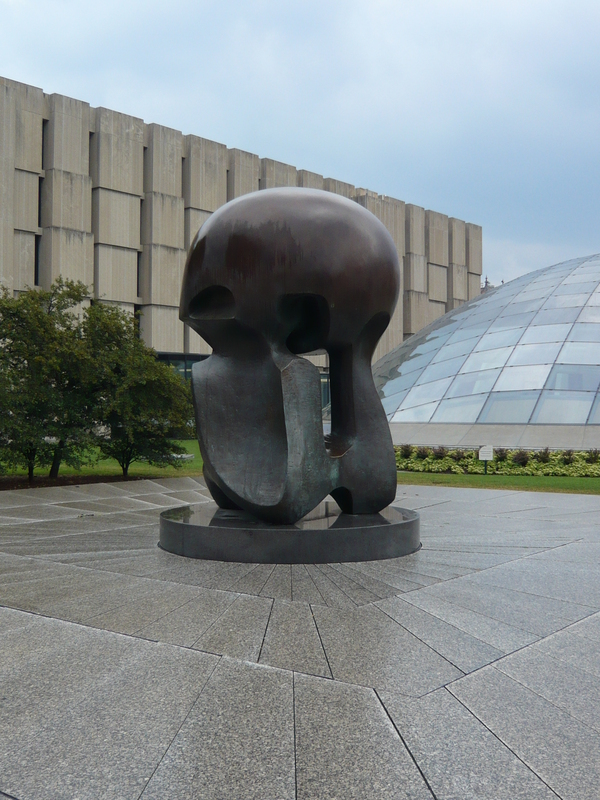 The site is now marked by the massive bronze sculpture “Nuclear Energy” created by English artist Henry Moore. More information about Chicago Pile-1 can be found on Wikipedia.